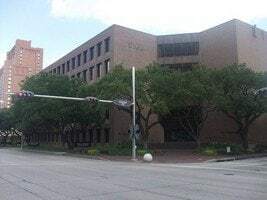 The Office is located in the Halbouty Building located on the Corner of Westheimer and McCue. 5100 Westheimer is directly across Westheimer from the Galleria. The parking garage is located immediately behind the brown 5 story Halbouty building. 5100 Westheimer is in the Halbouty Building at the corner of Westheimer and McCue. Turn West (away from downtown) and towards the Galleria. Once able get in the right lane. Go through the Post Oak Road Intersection. The next light will be McCue. Turn Right on McCue (as you turn you are looking at 5100 Westheimer (the Halbouty Building). Immediately after the Halbouty building you will see a deliver alley, then the exit to the parking garage, then 50 feet or so the entrance to the parking garage. ALL ON YOUR LEFT. Turn Left and enter the parking garage, take a ticket (WE VALIDATE) and park your vehicle. Bring your parking ticket inside for validation. Enter the Building from the parking garage and walk straight after entering the building. The office is directly ahead. YOU WILL WALK PAST the elevators on the right, and the security guard on the left. The Office is the glass door ahead of you, Suite 115. Drive through the Sage Road intersection, get in the left lane after the light. The next traffic light is McCue. Turn left on McCue (the Galleria is on your right prior to the turn). The Halbouty Building will be on your left (that is where you want to go) as you turn.